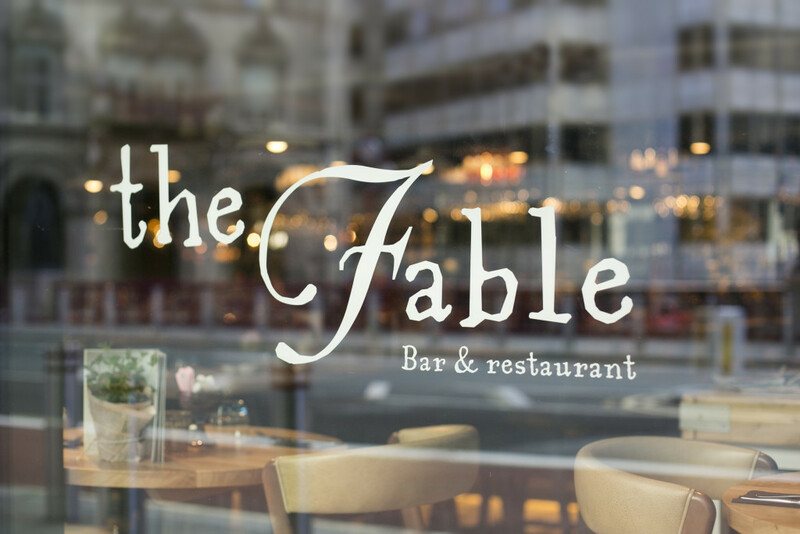 Located in Holborn in the City of London, this venue design is inspired by the fantasy world of fairy tales and the fabulous fables of Aesop. Every detail tells a story………It’s the stuff of fairy tales! 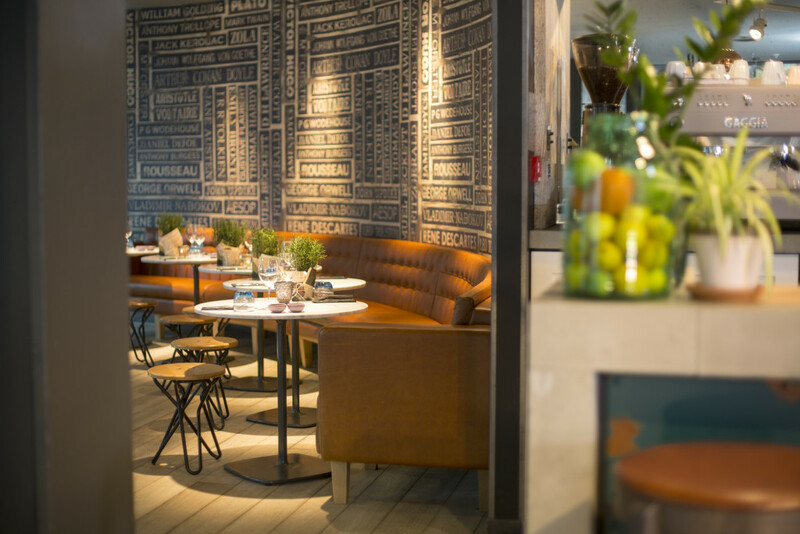 The dining area and bar is spread across 3 floors and the whole area feels spacious, fresh and bright thanks to the clever interior design and full height windows. Decoration and accessories throughout carry through the fairy tale theme. 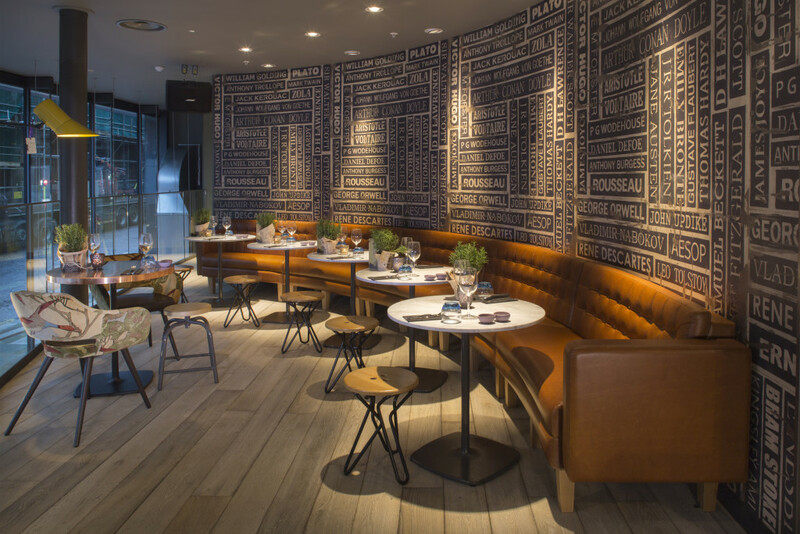 Craftwood, who were commissioned by main contractor Fileturn, manufactured some beautiful free-standing leather banquettes with sofa style arms. The square button back sitting against a curved wall papered to appear as oversize book spines depicting famous authors’ names. The selected leather giving a warm cosy glow to the area. 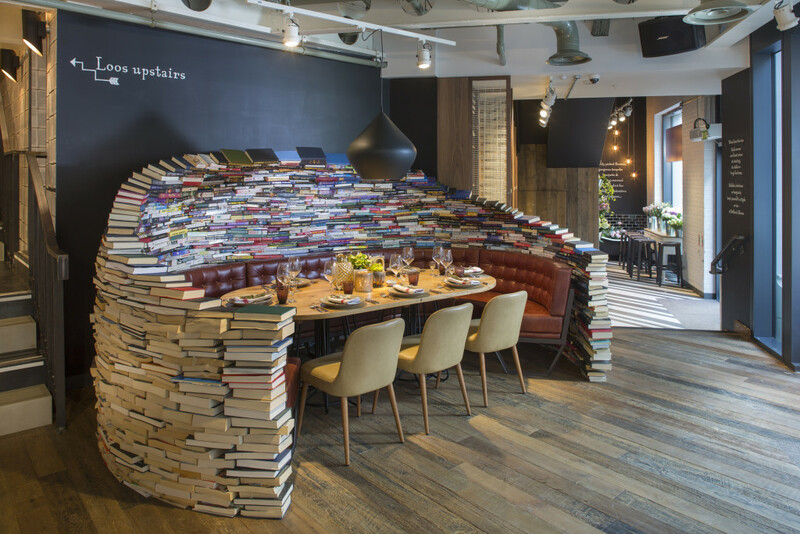 Perhaps the piece de resistance in terms of banquette on this site though is the “book cave”. An oval booth in leather manufactured by Craftwood. Mounted on a bespoke metal frame also supplied by us, this seating sits within a cleverly designed curved, 3-dimensional wall of real books. The concept from Fusion was realised and manufactured by Concept Design Construct (CDC Ltd). Craftwood worked closely with CDC to ensure that when the two elements came together on site, it all worked as planned! The final article looks amazing!